The unemployment rate declined to 4.6 percent in November. Total nonfarm payroll employment increased by 178,000. Employment gains occurred in professional and business services and in health care. 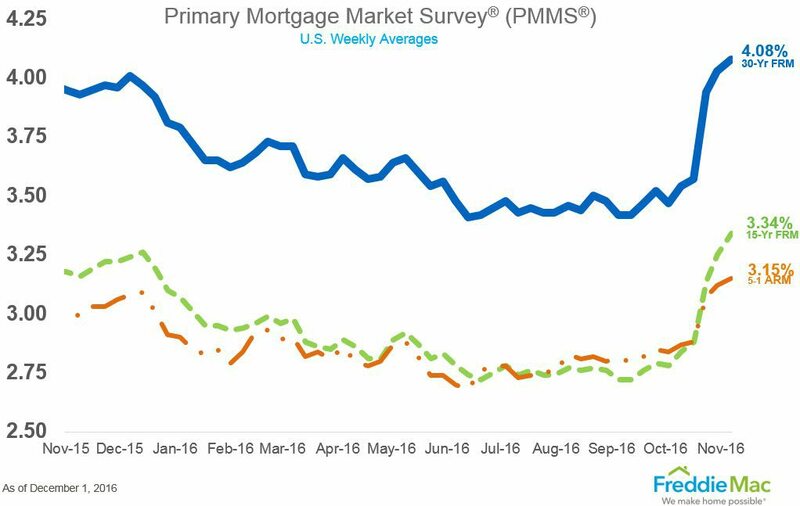 The 30-year fixed-rate mortgage (FRM) averaged 4.08 percent with an average 0.5 point for the week ending December 1, 2016. This is up from last week when it averaged 4.03 percent. A year ago at this time, the 30-year FRM averaged 3.93 percent. Construction spending during October 2016 was estimated at a seasonally adjusted annual rate of $1,172.6 billion. This is 0.5 percent above the revised September estimate of $1,166.5 billion. The October figure is 3.4 percent above the October 2015 estimate of $1,134.4 billion. 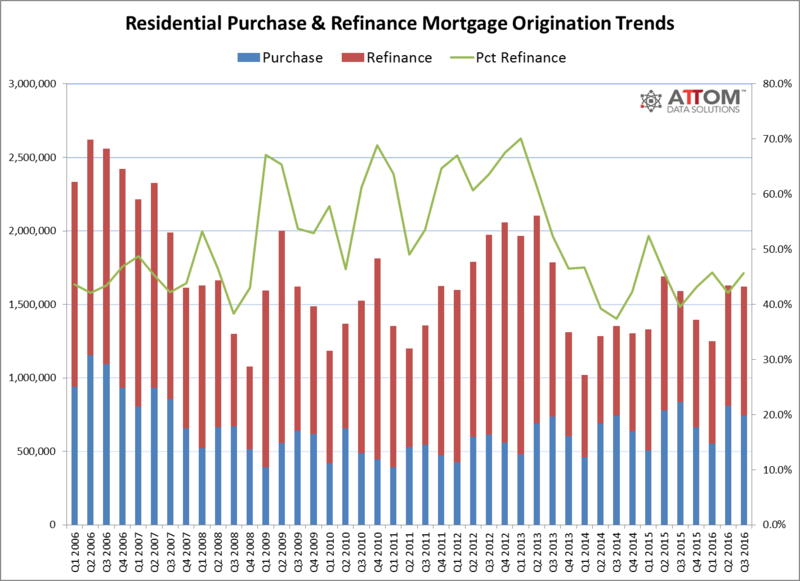 More than 1.9 million (1,919,180) loans were originated on U.S. residential properties (1 to 4 units) in the third quarter of 2016. This is down 2 percent from the previous quarter and up less than 1 percent from a year ago. The report also shows total dollar volume of loan originations increased 8 percent from a year ago to more than $502 billion thanks to higher average loan amounts.